Hi, my name is Andy. I'm from the UK and live/work in London. I have been a very keen photographer ever since I was young. Recently however I have started to look at turning what was a hobby into a more serious passion, further developing my 'eye' and skills. 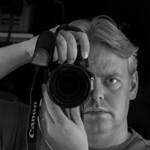 I prefer to shoot landscape, abstract and macro photography but am also known to photograph events including weddings. All of the pictures on my website are available for individual or commercial sale either as a physical print or download. Purchases are processed by Loxley imaging a UK based pro imaging lab. If however you don't see an output product that you prefer or would prefer to use a different print lab please contact me as I'm more than happy to support different customer requests. I am based in Coulsdon, Surrey and open to any special commission requests or events either as primary photographer or a second shooter. Please don't hesitate to get in touch in you have any questions or queries.